You put anything on a stick, and my kids will eat it up like it’s candy. 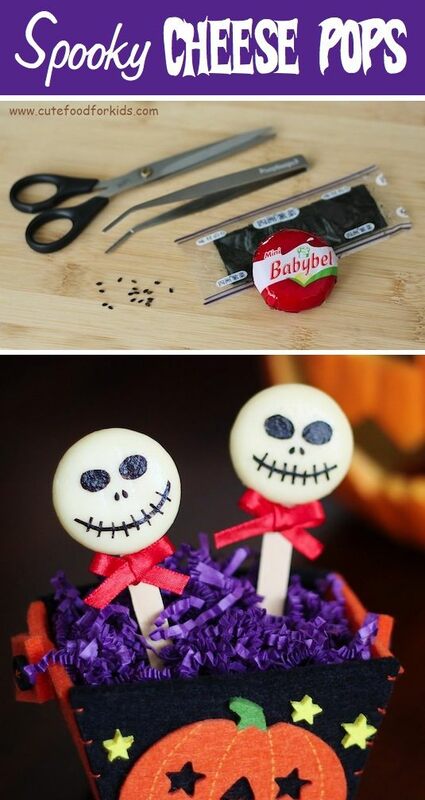 Babybel cheese is so much fun to eat AND decorate, kind of like these spooky cheese pops for Halloween! 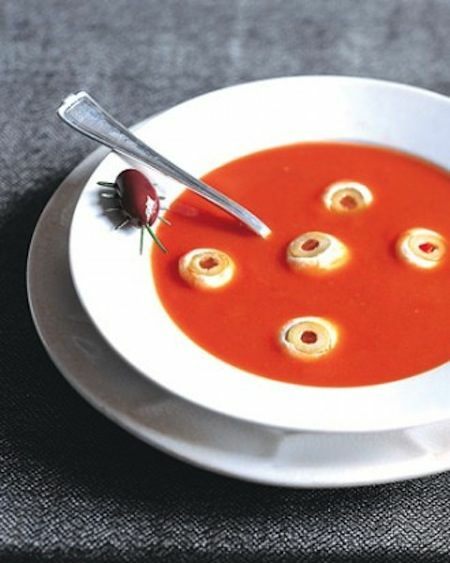 Edible and healthy! 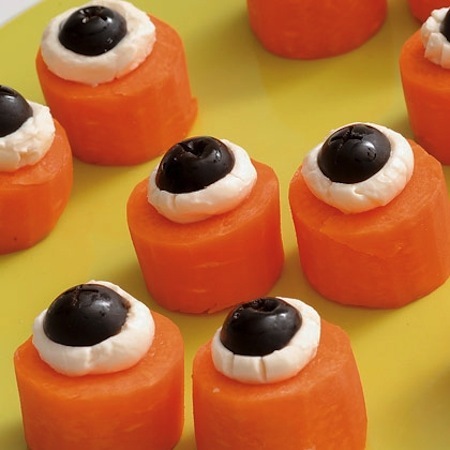 Carrots, cream cheese, and sliced black olives make up these fun edible eyeballs for Halloween.